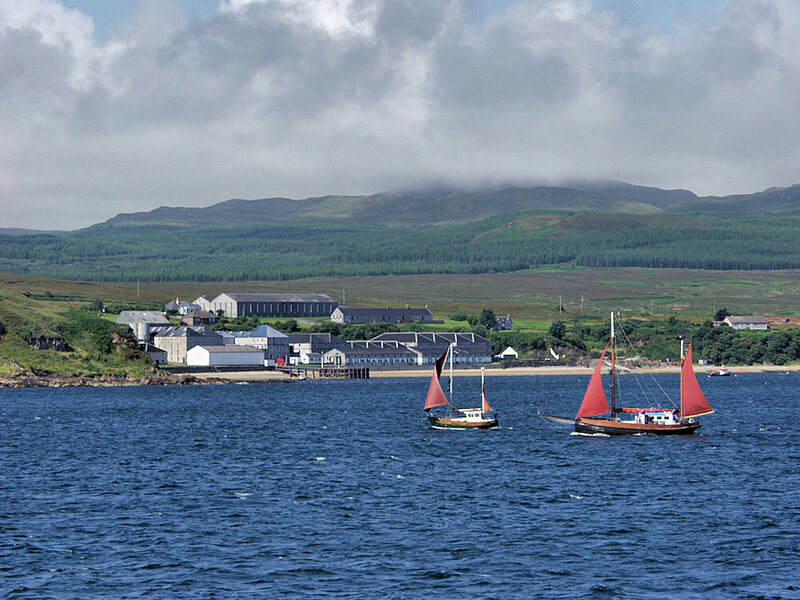 Seen from the ferry to Colonsay travelling up the Sound of Islay, two sailing boats are passing Bunnahabhain with the distillery. This entry was posted in Cloudy Weather, Distilleries, Landscape, Repost, Sunny Weather, Village and tagged Bunnahabhain, Islay, Sound of Islay by Armin Grewe. Bookmark the permalink.